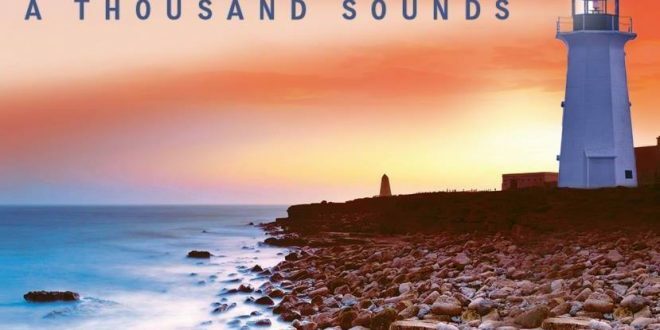 Music doesn’t have to be overdriven with indulgent distortion to rock hard, and rarely has that statement been more applicable to an album than it is in Skyfactor’s A Thousand Sounds. Acoustic guitars take on hard rock rhythms in the eleven song masterpiece, which boasts a sharply refined mix that is countered by a rip-roar performance from the band. Skyfactor assault us with emotional harmonies and jittery beats in their new album, but their focused attack has never been as motoric. Peppered with balladry, pushy rock breakdowns and relevant lyrics that cut through the music like a hot knife through butter, you don’t have to look very hard to find something to relate to in A Thousand Sounds and its treasure chest of musical might. Just one listen to the eponymous leadoff track, “Better for the Moment” or the sly “Lost at Sea” is enough to become entranced in the gilded sway of drummer Jason Taylor’s carefree beats. They welcome us with open arms and give Bob Ziegler’s lyrics the structure that they need to reach us. The giddy title track, “Damn the Remote” and “Run Away” showcase guitarist Jon Rubin’s consistently inventive play, but it’s in “The Whole World’s Here” that anyone who adored Skyfactor’s last album Signal Strength will become instantly infatuated with the band’s new look. All of the ingredients that made Signal Strength a hit with critics are stewing around in this song, but they’re given a polishing that make them sound so much more intimate and real. I don’t know what’s transpired in the last five years, but this band has really developed their craft beyond what I was expecting in this new album. The line “Hey now, what you gonna do when it all comes tumblin’ down” in “Long Way to Go” is carried into the ethers by a burgeoning riff that is big and bad but not threatening or hostile. The rock n’ roll aesthetic isn’t watered down by the acoustic play in this record – I actually think that the way it’s presented to us is ironically surreal and different than what other records of a similar ambition have done in the past. “Stay Dear,” “What We Had” and the title track are rock songs shrouded in enigmatic prose, but they aren’t self-righteous or egotistical. I don’t get the idea that this record was made for the critics or the radio executives who essentially shape the identity of pop culture under the pressure of commercial entities. A song like “Hoboken Lullaby” doesn’t desperately try to fit in with the mainstream; it breaks away from the crowded corner of “normalcy” and speaks from the heart of its author. Whether you’ve been listening to Skyfactor since 2006’s take this chance or are just discovering their music for the very first time with A Thousand Sounds, the boundless grooves and extraordinary melodies that their newest record brings to the table will leave you shaken by their emotional wallop. Every so often a band will make an album that tests their sonic boundaries and nudges its players into an uncomfortable state of mind that can yield some of the most provocative content producible. This is that album for Skyfactor, and fans who don’t take the chance to explore its flourishing textures would be missing out on one of the best acoustic records released this the autumn.